The FAA reauthorization bill passed by the Senate pushes GPS technology for air traffic control. (CNN) -- Passengers stuck on airplanes gain new rights and the nation's air traffic control system gains new technology under a $34.5 billion bill the Senate passed Monday night. The Federal Aviation Administration reauthorization bill, passed 93-0, advances the modernization of the nation's air traffic control system as it moves away from a radar-based infrastructure in favor of GPS technology. The new system, known as NextGen, uses a satellite-based platform to keep track not only of aircraft, but also of vehicles on the ground at airports. The costly system should allow planes to fly closer together safely and avoid runway incursions, according to a release by the office of Sen. Jay Rockefeller, D-West Virginia, one of the main sponsors of the bill. The GPS-based system also allows controllers to tailor each aircraft's approach for landing, which should save fuel and cut down on late arrivals, according to an FAA fact sheet. Embedded in the bill is a "Passengers Bill of Rights," whose centerpiece is a rule requiring delayed commercial planes to return to the gate after three hours on the taxiway. Alternatively, the rule allows the airline to send buses to take passengers off the plane so the aircraft doesn't lose its place in line to take off. By passing the bill, the Senate "has spoken boldly and clearly that the airlines must treat their customers fairly and with decency, or face consequences," said Kate Hanni, executive director of a group called Flyers' Rights. The bill addresses several issues raised by plane crashes and other incidents over the past several years. 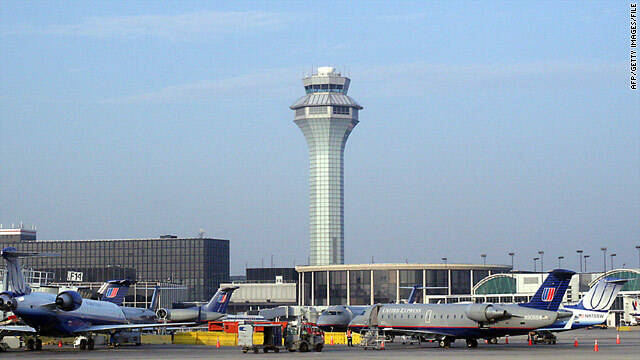 In response to the Colgan Air crash near Buffalo, New York, in February 2009, the bill tightens pilot hiring, testing, training and rest requirements for large and small airlines. The bill also bans the use of personal electronic devices in the cockpit. Two Northwest Airlines pilots lost their jobs and their licenses as a result of an incident in October when they missed the Minneapolis, Minnesota, airport by more than 100 miles because they were distracted by their personal laptop computers. The House passed its own version of the FAA reauthorization last year. A House-Senate conference committee will have to iron out the differences between the two bills before a final version is approved and sent to the president.